The library have created two fun collections on Historypin, entitled People at Work and Animals, which are useful from a social historical perspective as well as being quite comical at times. Butler lived in the south of England but travelled extensively throughout Europe, particularly in Italy. There is also a New Zealand connection since Butler spent 4½ years in the country during the 1860s. He arrived into Lytellton on 27 January 1860 and traversed much of the South Island looking for unclaimed land for sheep farming. He discovered and and crossed the Whitcombe Pass on 3 February 1861, during a series of expeditions above the Rangitata with John Holland Baker. This experience provided the basis of the journey 'over the range' in his book 'Erewhon'. 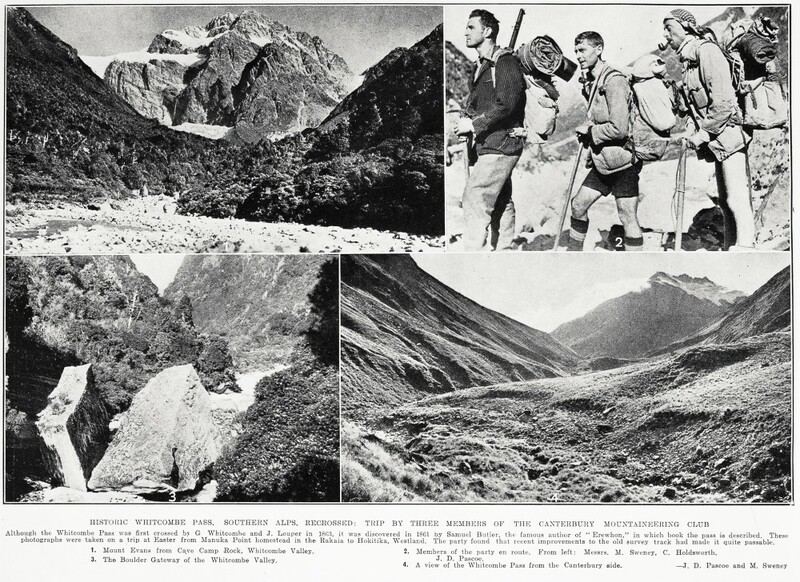 The achievement of this trip is commemorated in places name, which still persists such as Butler Saddle, Mt Butler and the Butler Range. Butler's experiences in the young colony were elaborated more fully in 'A first year in Canterbury settlement' (1863), a work of vivid observation and narrative. Butler left New Zealand on 15 June 1864. One reason for his rather sudden departure may have been the rejection by Mary Brittan, to whom he is rumoured to have proposed in 1864. Mary went on to marry William Rolleston in 1865. Find our more about the Samuel Butler digitisation project and check out the Auckland Libraries heritage materials which are written by or about Butler. Thank you so much for sharing the details of the Samuel Butler Project at St John's College, Cambridge and our Historypin channel on which we're showcasing many of Butler's fantastic photographs. We will be pinning more photographs on our channel in the coming weeks, and we hope you'll enjoy viewing them as they appear! For people interested in Samuel Butler generally, our Project website (http://www.joh.cam.ac.uk/samuel-butler-project) features a number of online exhibitions on various aspects of Butler's life and works, and includes links to recordings of talks given at events in Cambridge during the course of the Project.